Even if you’re a not an aviation aficionado, when you see a big, sleek airliner on the tarmac of Phuket Airport with a cool raccoon mask windscreen and unique eagle-inspired wingtips, you can be sure that yes, it’s the new Airbus A350 XWB-900. 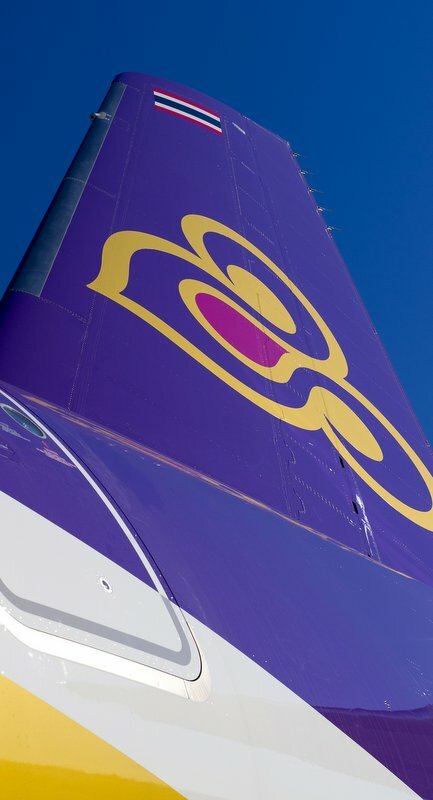 Thai Airways has put its sixth Airbus A350 into service on its Phuket to Frankfurt direct route. 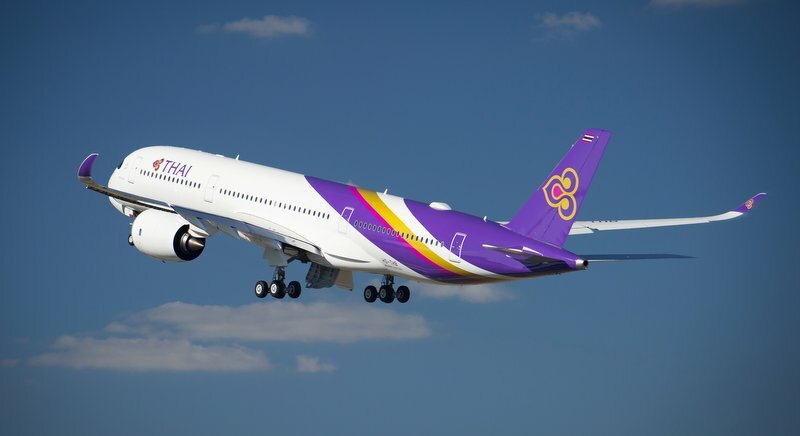 Thai Airways is now using one of its six new A350s for its Phuket to Frankfurt direct route, and I recommend you get a boarding pass, because a great in-flight experience awaits you if you do. 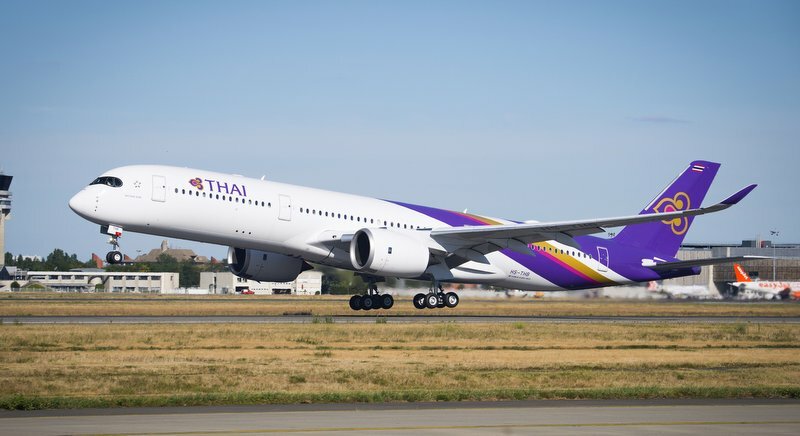 Recently, as a member of a Thai media group I landed at Toulouse in southwestern France after a memorable Bangkok-Frankfurt flight on the Thai Airways super jumbo A380 in Royal Silk Class. 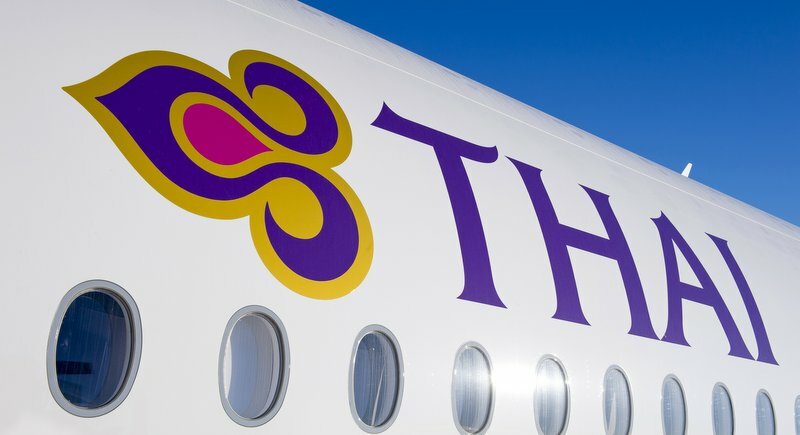 I experienced THAI’s business class “Smooth as Silk” motto in every sense, from the seamless service, in-flight entertainment, delectable cuisine, superb wine selection and the spacious private compartment with full lie-flat seat. Thai Airways’ A380 fleet consists of six double-decker A380s used on premier routes from Bangkok to Tokyo, Osaka, Hong Kong, London, Paris and Frankfurt. Our next leg to Toulouse is aboard a Lufthansa A320 – Airbus’ narrow-body cash cow. Every two seconds an A320 lands on some runway on our planet. Moments after we touch down at Aéroport de Toulouse – Blagnac (TLS) on the starboard side I spot a huge, white, hilarious guppy looking airplane. It’s the Beluga, the whale-shaped super transporter that had to be built specifically to carry the oversized A380 parts from the Airbus plants in the UK, Spain, Germany for final assembly and delivery in Toulouse, France. Toulouse, located on the banks of La Garonne river, is France’s aeronautics capital, a telecom research centre and university town also called La Ville Rose, because of the pink-orange bricks used in its architecture. This is a whistle-stop tour, we’re here to visit Airbus HQ, the company, previously called Sud Aviation and Aerospatiale, which was born 1970. Today, it’s a European multinational corporation that designs, manufactures and sells civil and military aeronautical products and employs a staff of 55,000 around the globe. Airbus’ comprehensive product line boast highly successful aircraft families ranging from 100 to more than 600 seats. From the smallest A300 to the biggest A380. Including the new technologically advanced, twin-engine A350 XWB mid-size long-range passenger aircraft. Vanessa Gerencseri, A350 Marketing Manager, says, “The A350 XWB will shape the future of air travel. We have currently 848 orders to airlines in the Americas, Europe, Asia and Pacific, and Africa and Middle East. With 84 aircraft flying with 12 airlines and more than 46,000 flights to date, 11 million passengers have flown it. “The A350 XWB is powered by two state-of-the-art massive Rolls-Royce Trent XWB engines. The world’s most efficient large aero-engine flying today,” she adds. Here are some fast facts about the new 350 XWB. First of all “XWB” stands for Extra Wide Body. The cabin brand “Airspace” by Airbus provides more room, a higher ceiling and the largest overhead storage bins and the new innovation of “cabin mood lighting“ to reduce the effects of jet lag. Furthermore, the A350 boasts 25% lower fuel use rate and the lowest noise level of all twin-engined aircraft. It also sports the world’s largest carbon-fibre wing panel, constructed from composite materials, which makes the plane extra light. Also there are the cool A350 trademark winglets, that save fuel by reducing drag, while also lowering noise and carbon-dioxide emissions. It’s aerodynamics are inspired by nature and the flight of the eagle. “We have a long-standing partnership with THAI. Their first order was in 1977 for the original Airbus A300 B4. In 2004, they ordered six A380 double-deckers. 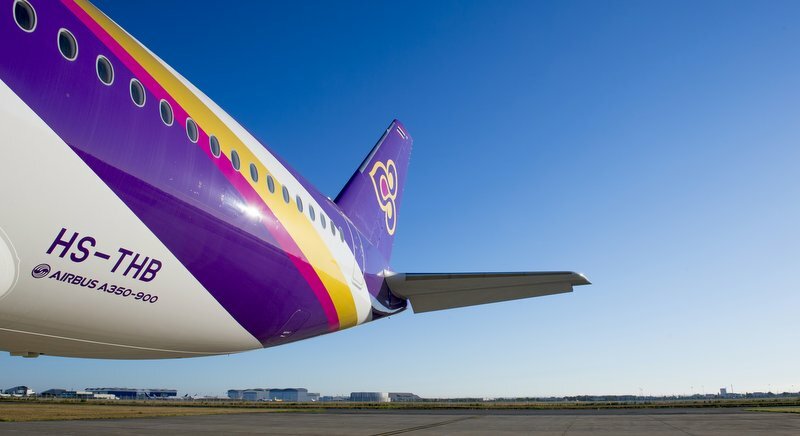 Currently Thai operates an Airbus fleet of 49 aircraft: 20 A320 (THAI Smile), 17 A330s, six A380s and six new A350 XWBs,” he adds. Conceived with eco-efficiency in mind, this streamlined aircraft assembly process for the A350 allows teams to work in parallel, reducing the time from start of final assembly to aircraft delivery by 30%. Our final day takes us to the Airbus delivery centre, it’s like a swanky first class lounge with catering and an observation deck. Outside on the tarmac THAI’s sixth A350 XWB has been bestowed the name “Phu Pha Man”, given the aircraft registration of HS-THB and is now ready in its shining livery for the flight to Suvarnabhumi Airport. For the 11-hour flight to Thailand, THAI chief technical pilot Itt Sirisawat will be the commanding officer. “Most of the pilots that fly A350 also love it. The cockpit is wider and has a lot of space. This is the most beautiful cockpit in the world right now,” he says. THAI’s A350 XWB offers outstanding two-class service. Royal Silk Class – with seats arranged four abreast in a 1-2-1 configuration for a total of 32 seats. The 21-inch-wide seats can be adjusted to a 180-degree recline, and allow easy access without disturbing other passengers. Each seat is fully equipped with a 16-inch touchscreen, Wi-Fi and the latest in-flight entertainment system. Economy Class seats are arranged nine abreast in a 3-3-3 configuration for a total of 289 seats, with a generous 32-inch pitch and 18-inch width. Each seat is equipped with an 11-inch touchscreen, Wi-Fi and charging outlets for electronic devices. Both Business Class and Economy Class passengers enjoy wider, more comfortable seats and with more leg room. The A350 also has a tail-mounted external camera. Who needs in-flight entertainment when you can watch the world below in-real time and high definition? 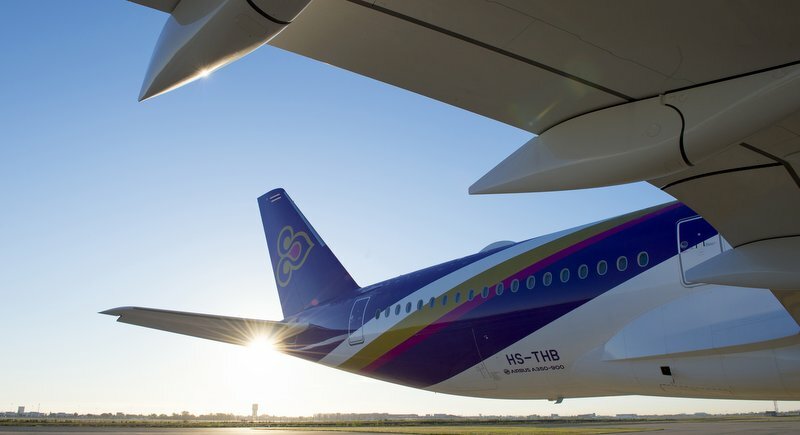 Currently, THAI has 26 new Airbus aircraft in its fleet and its Airbus A350 routes include Bangkok-Chiang Mai, Bangkok-Frankfurt, Bangkok-Milan, Bangkok-Rome, Bangkok-Singapore, Bangkok-Brisbane and of course Phuket-Frankfurt. The author, John K Lindgren, travelled to Toulouse as a guest of Thai Airways.